Not many people know this but having the ability to manage your phone’s content from your desktop is a huge blessing. Especially when you realize that you do not need any wires to do so. Yes, you heard it right. The ability to wirelessly manage Android content is great, and even though this is nothing new, the past solutions were never up to the mark as they always lacked some basic features that made the experience less intuitive. With that said, this is where AnyTrans comes into play. We have reviewed the software before as well. So, in this article, we are going to be revisiting the software, and not only that, we are but also going to check out all the new features that were introduced with the update to ensure that there is nothing left behind. AnyTrans has always been known to have a long list of features that we have admired. The features are also the big reason why the software is what it is today. So, it would be a surprise to see those features go away. Thankfully, that is not the case with AnyTrans as the software still retains all the features, and comes with newer ones with this update. Control Your Media: With the new and improved AnyTrans, you can actually control your media the way you want. It is safe to say that our phones are becoming media houses with so much of different media that we keep stored on our phones. Thankfully, with this software, you can effectively manage everything and make sure there are no files that are just wandering around in your phone. Keep Your Contacts and Messages Safe: AnyTrans gives you full control of your messages, well as contacts. It does not matter if the information is sensitive or not, with AnyTrans, there is really nothing to worry about as far as the information is concerned. Handle All Your Apps: Another great feature of AnyTrans is that with this new update, you can actually handle all the files and apps on your phone. You can batch install apps, uninstall them, and even back them if required. If you have a lot of apps on your phone, then the handy search feature allows you to search in a matter of seconds. 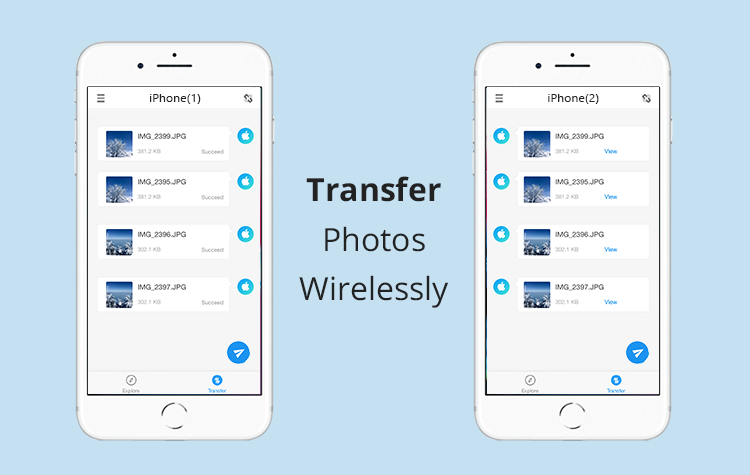 File Transfer: Another great feature that a lot of people will love using is the ability to wirelessly transfer files onto your device. This is great, especially when you have just bought a new phone and you are just transferring all your data. The wireless transfer works great and efficiently. Phone to Phone Share: Sharing files from one phone to another has never been this easier. With AnyTrans, you can do it with one tap, and the best part is that you do not even need any wires tethering you back. So, the transfer itself is fast and easy. Granular Content Manager: AnyTrans now offers you a content manager that looks exactly like a good, properly featured file manager does. Through this manager, sending your files and managing them is super easy, and very convenient. To give you a better idea of what AnyTrans can do, we are going to take a look at the tutorial. We recently updated to a new Android phone, and the data has to be moved from iOS to Android. Now the data, especially in the text section is important because it includes receipts and other important information that we cannot lose. So, in order to successfully make sure that our data is transferred without any issues. 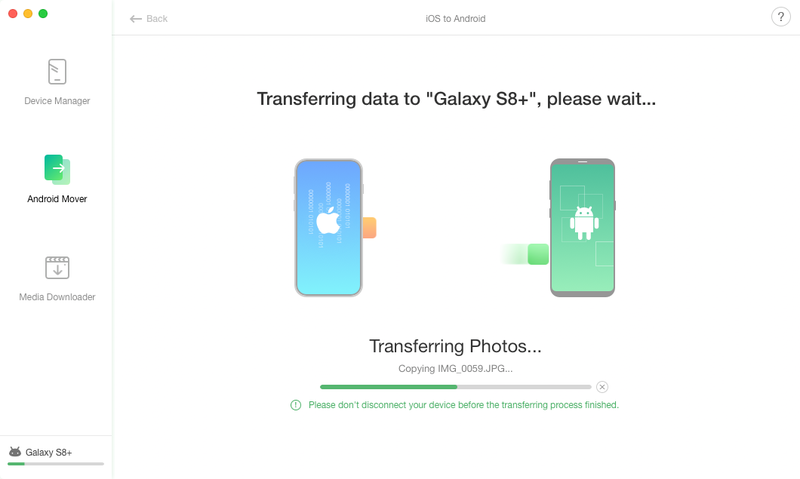 We are going to use AnyTrans to have all the texts from iPhone transferred to the Android. Step 1: The first step is to connect both devices via the USB cable, and then go ahead and launch the software. Now you have to click on the Android Mover button on the left side, and then choose iOS to Android mode. Step 2: Once that is done, and select the Messages part, and uncheck the remaining, and then click on Next. Step 3: Once you click the next button, the transferring process will start. The time it takes depends on the number of messages you have stored, but the good news is that AnyTrans is fast enough to handle things in a matter of minutes. 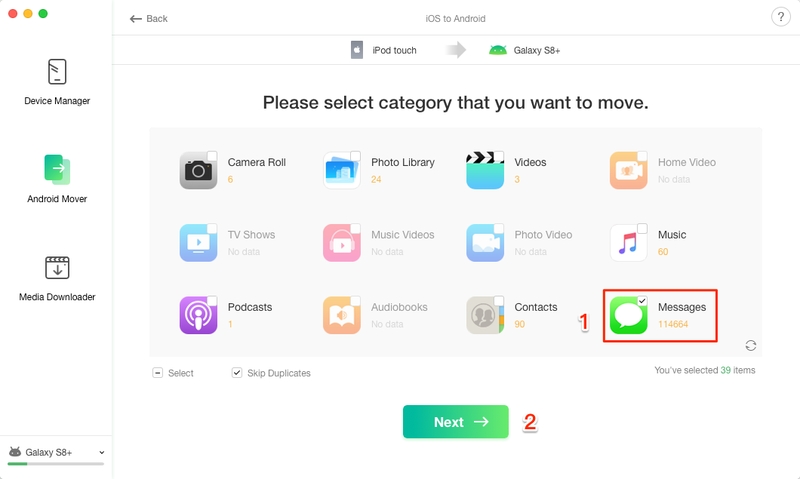 That really is all you need to do in order to have the successful experience in transferring your messages from one phone to another. I know that to some people, it might sound like a lot but simply put, the process is easy, and convenient. To a point that it can easily be done by anyone. We know that in this review, we only catered to transferring the messages, but in reality, you can transfer pretty much anything you want and that too, without any issues. In conclusion, the only thing we can say in a situation like this is that AnyTrans has outdone themselves. We already have reviewed AnyTrans before but reviewing this version makes everything so much different and for the better. Needless to say, AnyTrans is great the way it works. The software is safe, very simple, and convenient to use. If you are like me who has a lot of data stored across multiple devices, and you often find yourself with a new phone, you are definitely going to enjoy the appeal that comes with AnyTrans as it has now become the easiest software for managing your phone. As for the downsides, I did not really find anything concerning as all the listed features worked the way they are supposed to work. All in all, the new and improved AnyTrans is so much better than we last saw it. There are a ton of new features that make the overall usability all the better and easier as well. The granular content manager is great. Wirelessly transfer data in a matter of a few minutes.